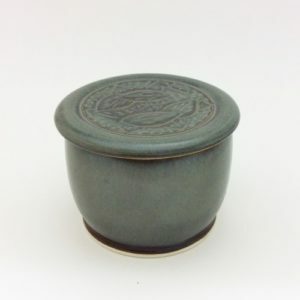 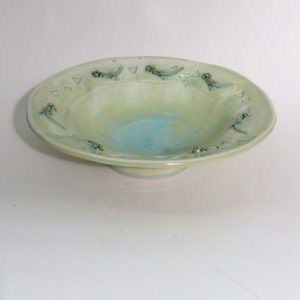 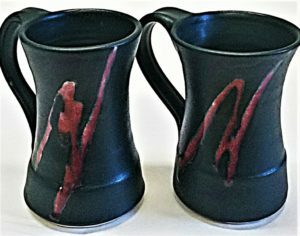 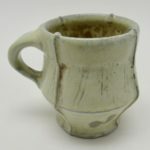 Shana Brautigam is a potter and teaching artist working at Rooted in Clay pottery studio in Rindge, NH. 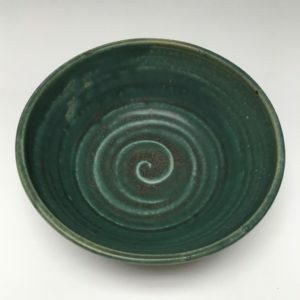 She makes her forms using hand-building techniques, such as pinching, coiling, and slab building. 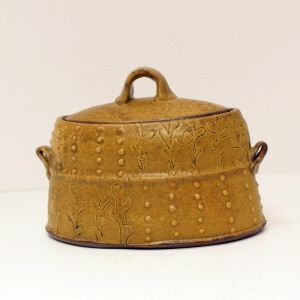 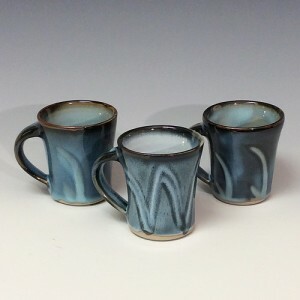 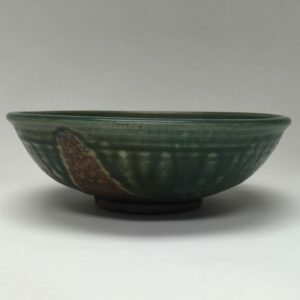 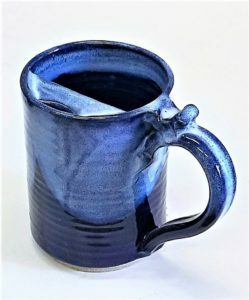 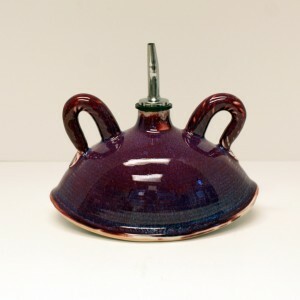 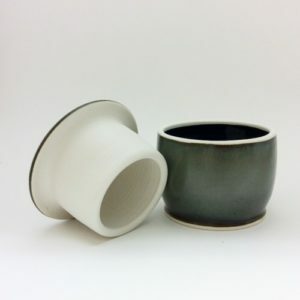 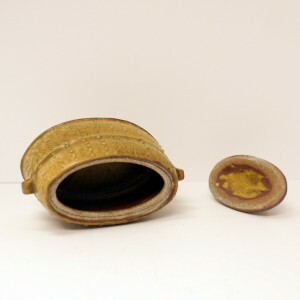 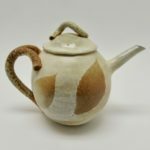 Without using the wheel, Shana creates a variety of unique forms, including everything from bowls and mugs, to teapots, large vessels, and clay instruments. 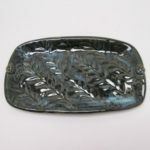 She often decorates the surface by imprinting natural objects, such as leaves, ferns, evergreens, and nutshells into the clay. 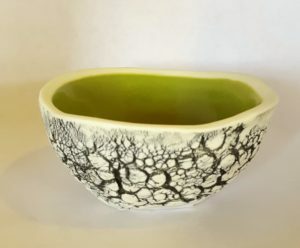 She fires her work outside in a wood-fired kiln, built using old electric kilns. 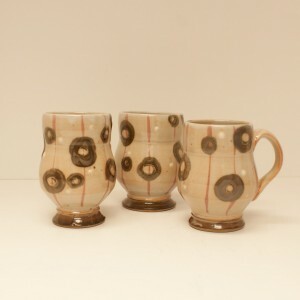 Firing with wood, the flames travel throughout the kiln, creating a range of beautiful earth tones and surface effects. 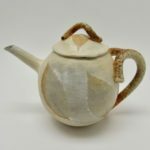 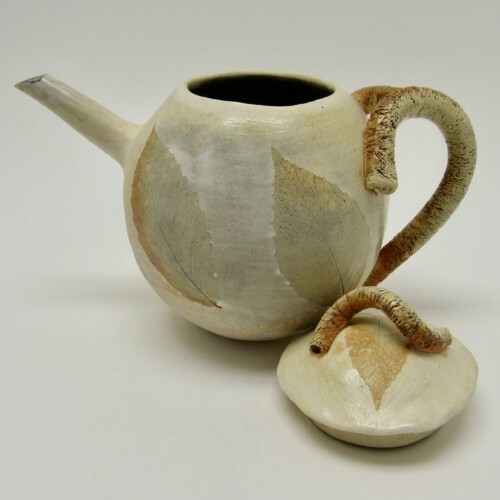 A one-of-a-kind ceramic teapot by Shana Brautigam; white and gray glaze with real leaf details and twig-like handles; 6 7/8″ tall (including lid), 2 7/8″ opening.